The fact that the event industry is one of the fastest growing in the country isn’t up for debate anymore. It has been established long back and doesn’t require further arguments over its importance. But before the event industry and an education in it was unknown and unexplored by the education biggies of India, Dr. Hoshi Bhiwandiwala opened the gates to it with his brain child ‘National Institute of Event Management (NIEM)’ in 2000. Since then, events aren’t just a family thing, but have turned into a giant career option for several students across countries. And it all boils down to NIEM who saw to it that events aren’t just limited within the boundaries of cultures and countries. Here are some of the most pivotal awards and milestones that NIEM received/achieved and made events as cool as we know them to be today. PRIME MINISTER NARENDRA MODI SENT THEM AN APPRECIATION LETTER! 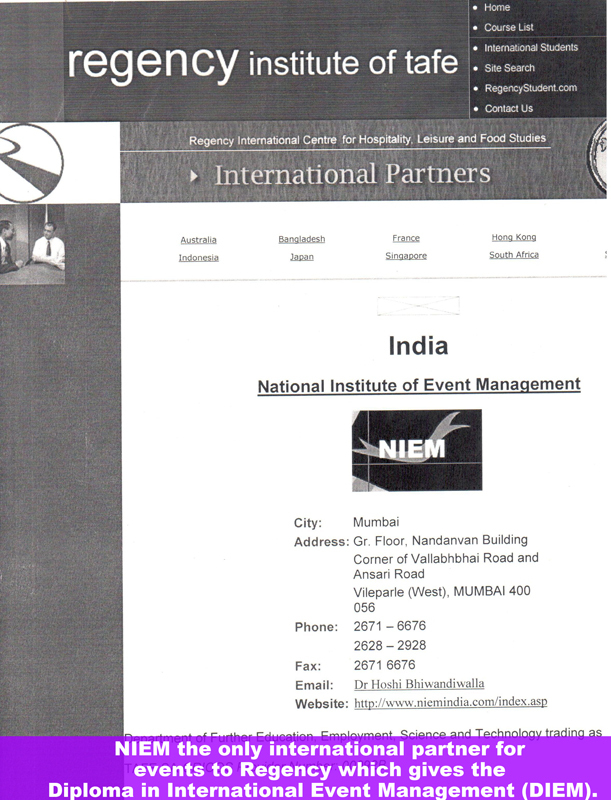 It stated that NIEM is Asia’s First Event College pioneering the event studies in India. He appreciated them for identifying the need of event studies; providing a well researched course, teaching, training and providing placements. He believes NIEM has made a significant contribution in the field. The Events Entertainment Management Association recognised the significant contributions made by NIEM in the event industry and gave it the top honour. Now this is an actual biggie! And they have two! They have one for being the Best Event College in Asia. 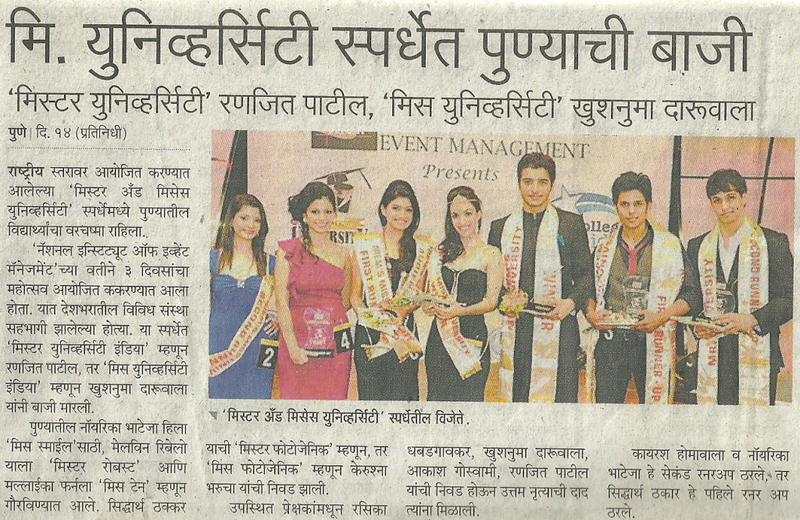 And the other for their Mr. and Ms University Beauty Pageant which is the World’s only pageant organised for students. NIEM is the only event management institute to be nominated twice by “ECONOMIC TIMES AVAYA AWARDS” for being India’s best educational institute. NIEM’s dean faculty members are the only ones who have written books on events, no one else has done it yet! NIEM has also written a book for Pune University. NIEM has the best faculties who are experts from the industry. Faculties from Mumbai’s Television, Film and Event Industry come to teach at Ahmedabad as well.